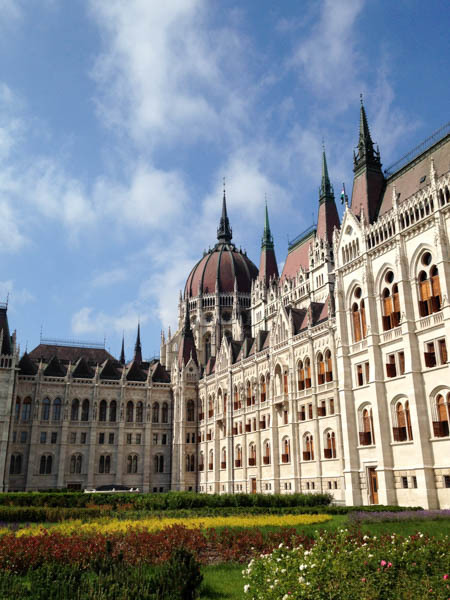 With public baths, an eye-popping Parliament house on the Danube River and stag/hen parties, Budapest was a fun city. It was a busy city, the weather was so-so (hot one hour, raining the next) but the history was interesting and the food was yummy (paprika!!). So all in all, a great place. 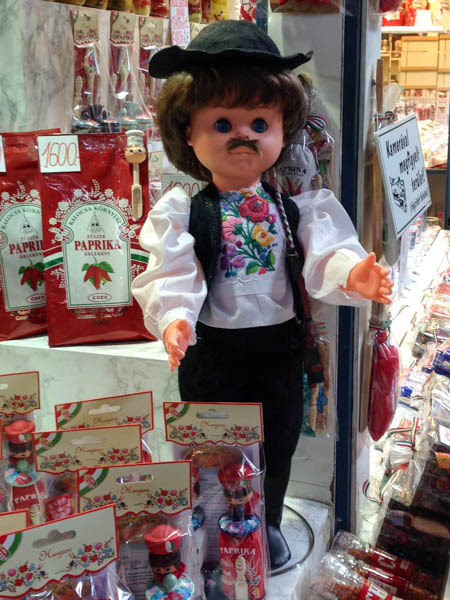 Getting to Budapest was trickier than it should be. We purchased a direct ticket from Zagreb to Budapest. About midway through the train ride, everyone, I repeat everyone got off the train. We just sat there, confused thinking it was odd that we were the only ones trudging on to Budapest. Another traveling couple enlightened these confused idiots that the "direct" train meant that we had to get off the train, board a bus and take that across the border, then getting back on the train and onward to Budapest. Information that would have been nice to know! We barely made it on the bus and enjoyed getting to know the couple who kindly saved us (Canadians, of course). The border crossing was more intense getting into Hungary and I apparently don't look like my passport photo, so that was fun trying to convince the border agent that the truly horrible photo in my passport is indeed me. The weather was a little crummy when we arrived so we started off shopping at Great Market Hall which is a market in a massive building. 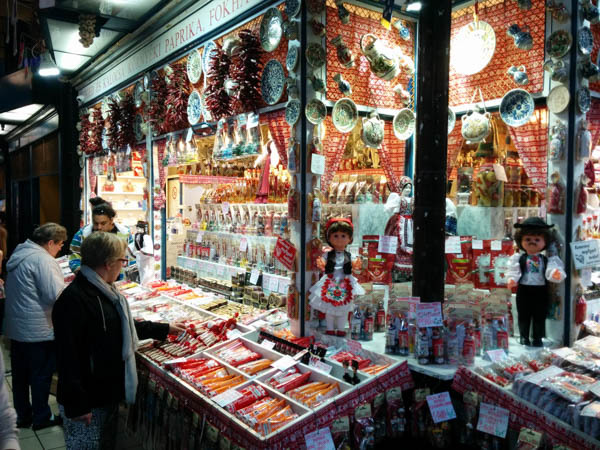 You find food to eat there, cooking supplies, tchotkes of all kinds In terms of markets, it is pretty typical. Crowded, cash only with plenty of options to spend your monies. I picked up some smoked paprika for my mom and a cute leather clutch. Bargaining was not as easy at this market and since I wasn't buying in bulk it was hard to get prices to budge much. Maybe I was too tired? I didn't buy any of these which I now realize was a missed opportunity. The sun poked out and we wandered over to the Parliament building, i.e. took the metro and exited in the longest escalator known to man. The building is massive and impressive. Tour tickets for the day were sold out so we picked up tickets for the following morning. We wandered along the streets between the Parliament Building and to Vaci Utca, a huge shopping street which apparently has the first McDonald's behind the Iron Curtain. In between the Nike store and H&M, there is not much character but interesting people watching and a convenient Metro stop. 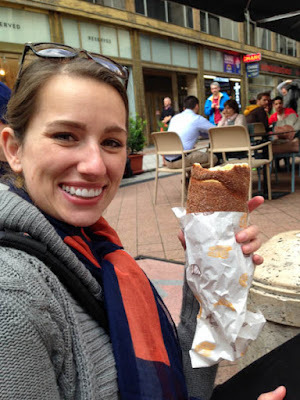 We discovered the joy of Kürtőskalács (pronunciation is lost on me- we referred to them as the bread thing, hollow on the inside and rolled in cinnamon). It is the small brown shack and the long line. 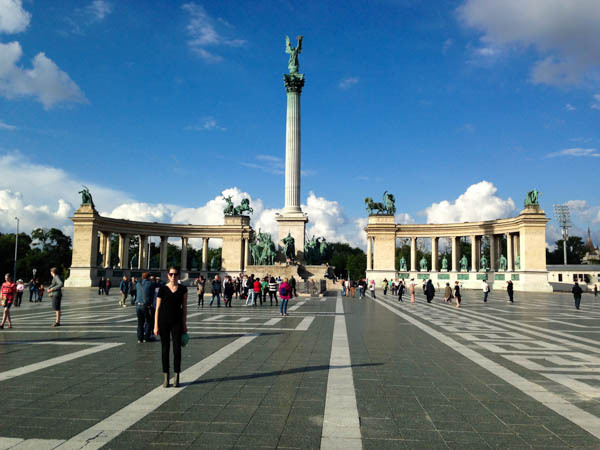 We embarked on Rick Steves' City Park Walk starting at Heroes Square. 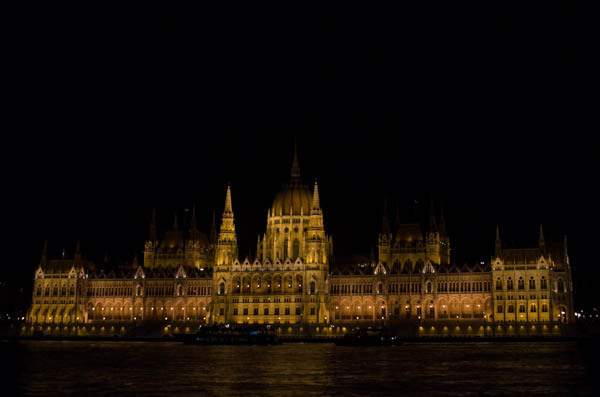 It was built in 1896 to celebrate the 1,000th anniversary of the Magyars' arrive in Hungary. You can visit two museums but we passed. 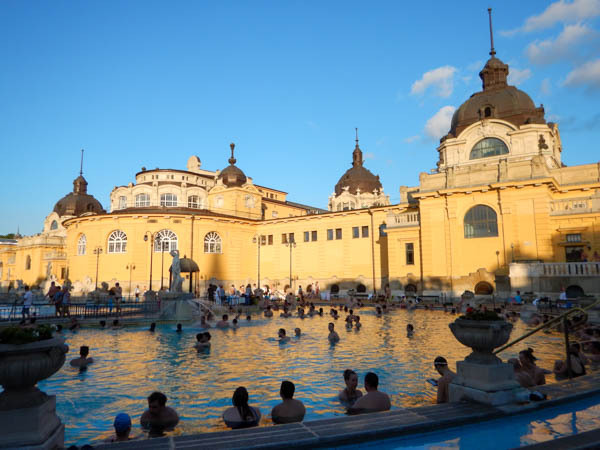 After that we wandered over to Vajdahunyad Castle and enjoyed the park before our soaking in the public bath at Szechenyi Baths (pictured above) which is just north of Heroes Square. To enter the baths you go around the back side of this building, pay your monies, get a wristband if you want a private changing room/locker (we did) and get in. The whole process of getting your wristband, etc was a little confusing but we eventually worked it out. Here is an article that explains the whole process. It's less bath and more hot tub, in case the term 'public bath' makes you feel uncomfortable. And the people watching was top notch (honestly, it was kind of amazing everywhere in Budapest). For girls scamming on guys and vice versa, to the chess tables inside of the water, it was pretty fun. We soaked until it got dark and cold. And then we headed home for the night.